Indian River Inlet, DE: Celebrate the end of the cold and snowy winter and the arrival of spring at the 10th Annual Gardening for the Bays Native Plant Sale on Saturday, May 3rd from 9 a.m. until 1 p.m. at the James Farm Ecological Preserve on Cedar Neck road in in Ocean View. Sponsored by the Delaware Center for the Inland Bays, the event will host five nurseries selling thousands of flowers, shrubs, grasses and trees that are native to coastal Delaware. Environmental Concern, a non-profit native plant nursery from St. Michael’s Maryland will celebrate their tenth year at the sale and will bring more than fifty kinds of native plants for rain gardens, woodland gardens and gardens by the sea. Local nurseries include East Coast Garden Center from Millsboro, Roots Nursery from Selbyville and Nature Design of Bethany Beach. For those interested in water plants for ponds and wet areas, Envirotech Environmental Consulting from Lewes, will bring pools filled with plants that love water. Early arrivals can get a breakfast treats and coffee at the Juice Bar, a Bethany Beach business serving at the plant sale for the first time. They will also offer snacks and lunch throughout the day. Rain barrels have been a popular item at recent sales and this year there will be two choices of rain barrels. DNREC’s Division of Watershed Stewardship will offer 55-gallon granite-colored barrels made from 25 to 35 percent recycled content for $57.88 each. The regular retail price for these heavy-duty plastic rain barrels is $120. For a $20 donation to the CIB, those who’d like to make their own rain barrel, can attend a ‘how to make your own rain barrel’ event at 11 a.m. and take a barrel home with them, complete with directions and parts list. Special events this year include a bird walk led by the Sussex Bird Club at 8 a.m. to see some of the many migrants that pass through James Farm each spring , and a ‘Walk Around the Farm’ with field biologist and naturalist, Tom Lord at 10 a.m.
Also new this year; for all those gardeners who are just grateful to get something to grow and are afraid of the pruning shears, Master Garden Ingrid Hetfield will demonstrate the art of pruning at 10:30 a.m.
Local beekeeper, James Carfagno is coming back again to show and tell the story of bees, some of our most important native pollinators, and crucial to our backyard gardens and to commercial agriculture. Gardeners new to native plant gardening can get advice from the experts including the Master Gardeners and the Delaware Nature Society, who will present their Backyard Habitat Program with advice on enhancing yards and gardens to provide food, water and shelter for birds, butterflies and other native wildlife. For the ninth year, volunteer Don Minyon will emcee the event, bringing music and fun and adding life to the party. Children will be welcomed at the children’s tent and everyone is welcome to our gift table where Gardening for the Bays garden aprons and garden gloves can be purchased with all proceeds go to support the work of the CIB. In celebration of the 20th anniversary of the Delaware Center for the Inland Bays, a special Pre-Sale Event featuring ‘bay-centric’ food and beer tastings, select plants for sale from Nature Design, and a silent auction of garden items will be held ‘under the tent’ from 6-8 p.m. on Friday, May 2nd. Tickets are $30 and can be purchased online at inlandbays.org or by calling 302 226 8105. 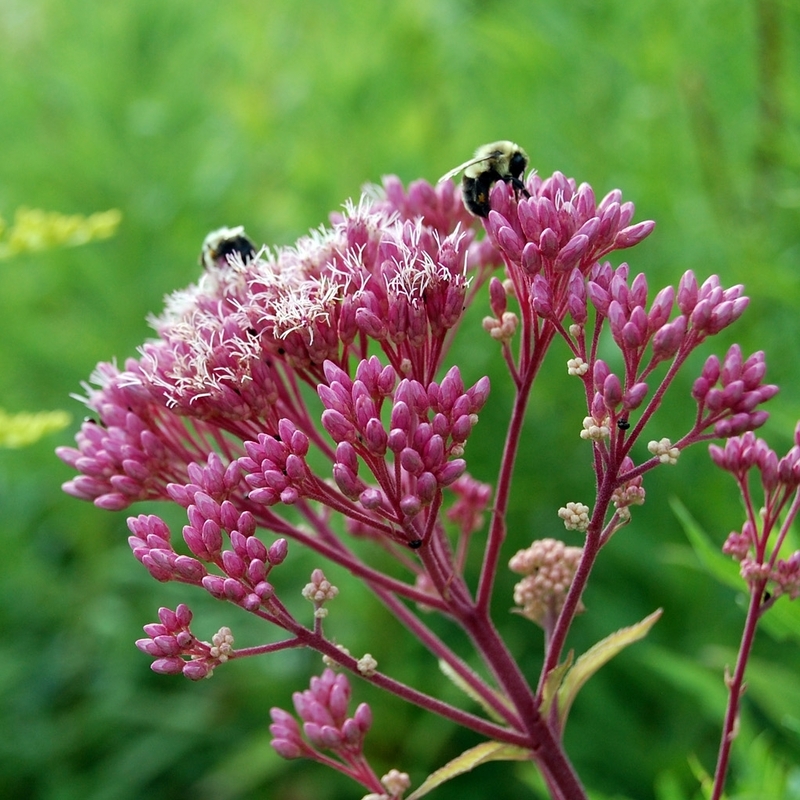 The Gardening for the Bays Native Plant Sale is an outreach education event of the Delaware Center for the Inland Bays, a non-profit organization established in 1994 to promote the wise use and enhancement of the Inland Bays Watershed. With its many partners, the CIB conducts public outreach and education, develops and implements restoration projects, encourages scientific inquiry and sponsors research.